In Poor Tom Is Cold, Detective Murdoch (Outerbridge) investigates the apparent suicide of his young friend and protégé, Constable Oliver Wicken (Graeme) The evidence, according to the coroner, is irrefutable. He was shot in the temple with his own revolver and a farewell note found by his side. 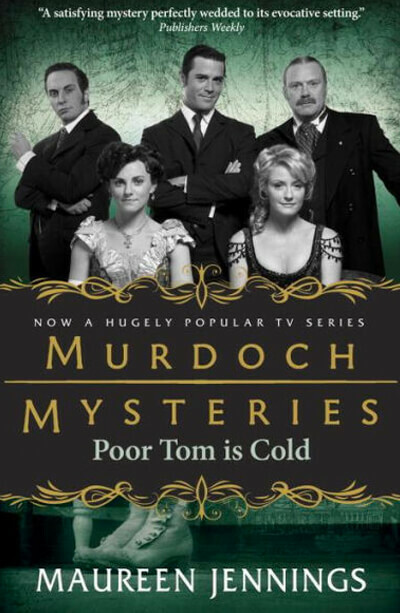 But Murdoch is not convinced and neither is Dr. Julia Ogden (Hawes) one of Toronto’s first female coroners, who is able to confirm Murdoch’s suspicions. At the inquest, a young woman testifies she was secretly engaged to Wicken but broke off the engagement that night. Could this unexpected news provide a motive? Murdoch continues his investigation and discovers a possible witness who has been locked away in a lunatic asylum.